A fascinating coloring book that will leave no child indifferent. On its pages boys and girls will encounter adorable lambs in meadow, a smiling octopus, an amusing dog, and a brooding lion. 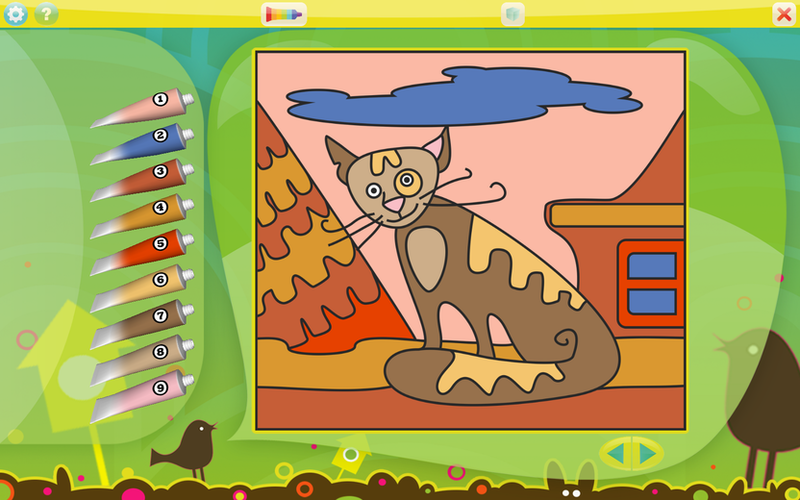 The jolly and funny animals seem impatient for you to paint them with your favorite colors. 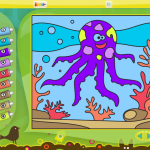 Selecting a difficult coloring mode will make coloring by number even more exciting. 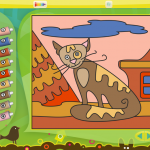 In this mode, the outlines of animals are barely discernible, leaving you guessing as to which particular animal you are coloring. 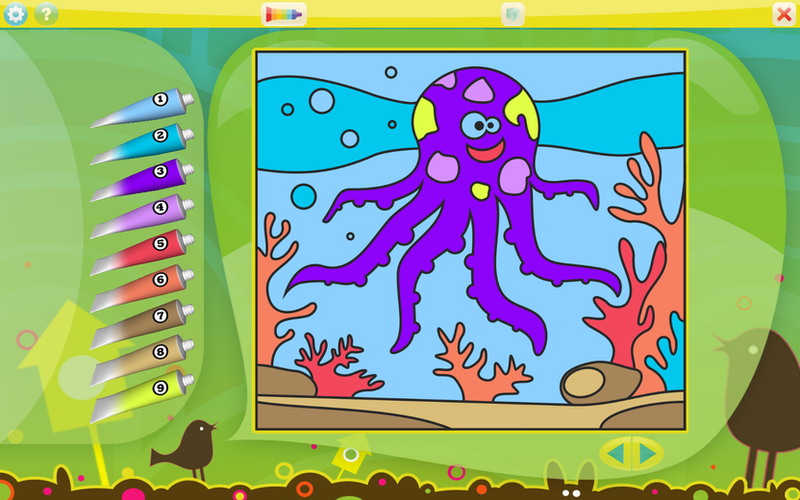 It also offers an easy and quick way for the little artists to memorize their numbers. 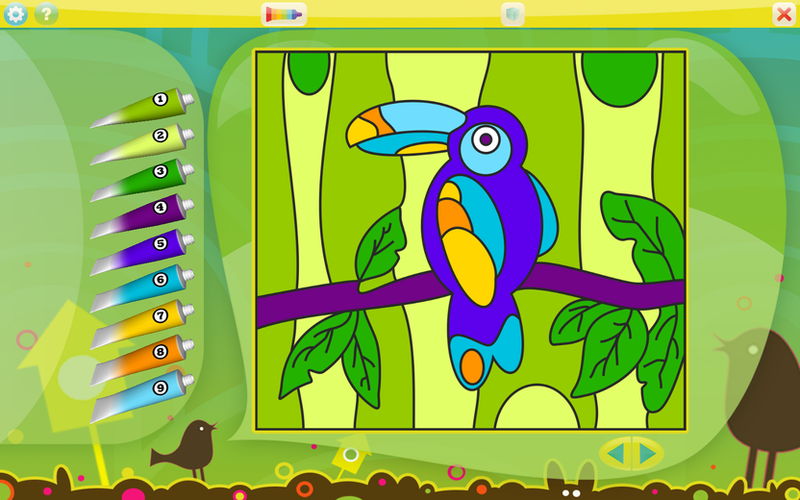 Bouncy background music and visual effects make the coloring process ever more interesting and enjoyable. Your child will be delighted. What girl does not dream of growing up to be a princess? To wear beautiful dresses and elaborate hairdos is every young lady’s daydream. 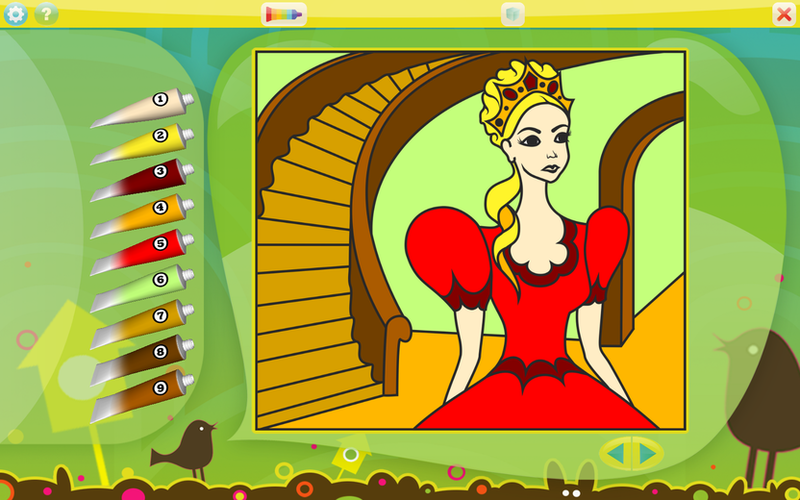 Both young princesses and their mothers will find the Princess Coloring Book to their liking. Here you will encounter the most extraordinary and outlandish princesses from the world over. 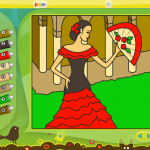 Prance into their magical world and paint their dresses with preset colors or your favorite ones. 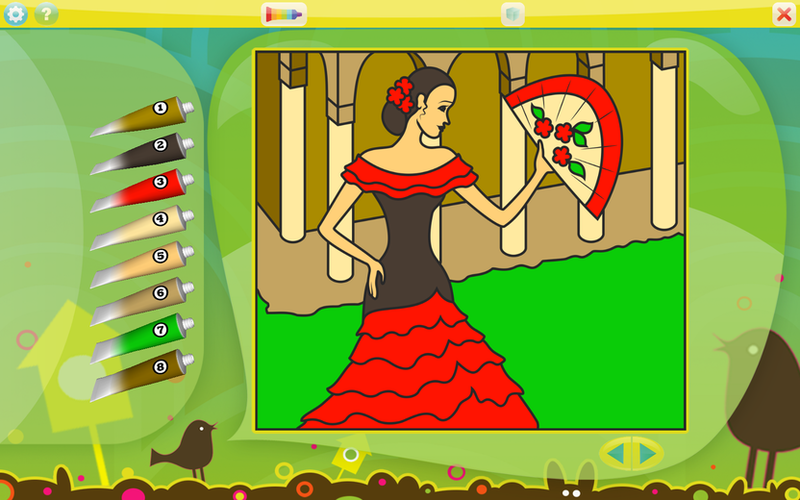 A light waltz melody will engulf you in a swirl of positive emotions, making the coloring process ever more enjoyable. Visual effects will create an ambiance of happiness and magic. It is common knowledge that the most enjoyable pastime for most boys revolves around all sorts of vehicles: race cars, aircraft, submarines, you name it. 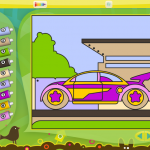 They never fail to attract the genuine interest of young car and designer kit enthusiasts. 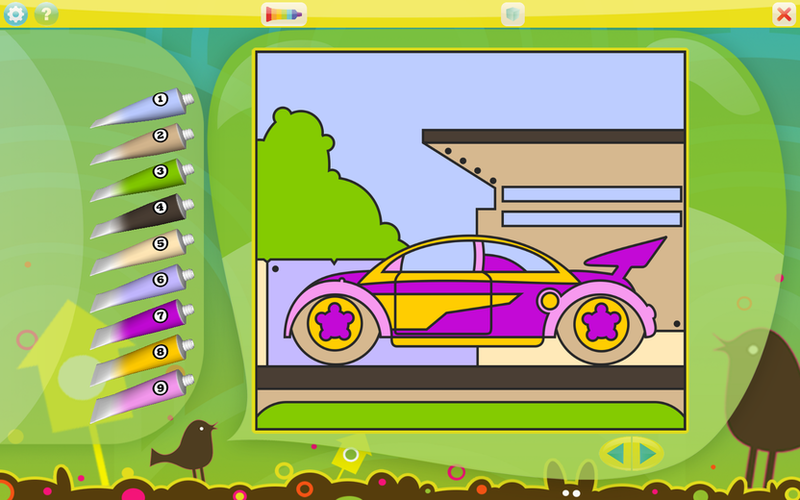 The Vehicles Coloring Book will be to their liking in particular. 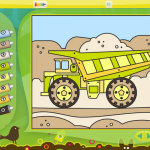 Here you will encounter a vast variety of machines to suit any taste. 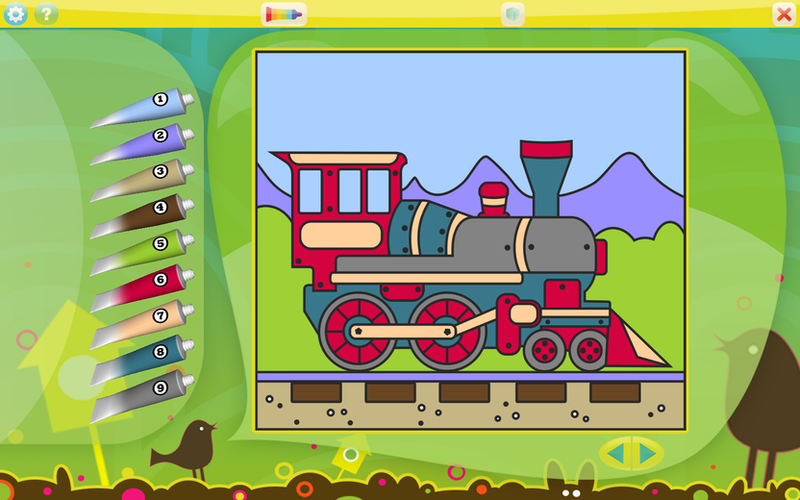 Your child will experience a wealth of positive emotions while also passing the time usefully. 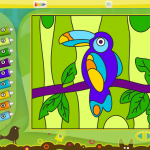 Coloring by number increases the attention span and develops imagination. 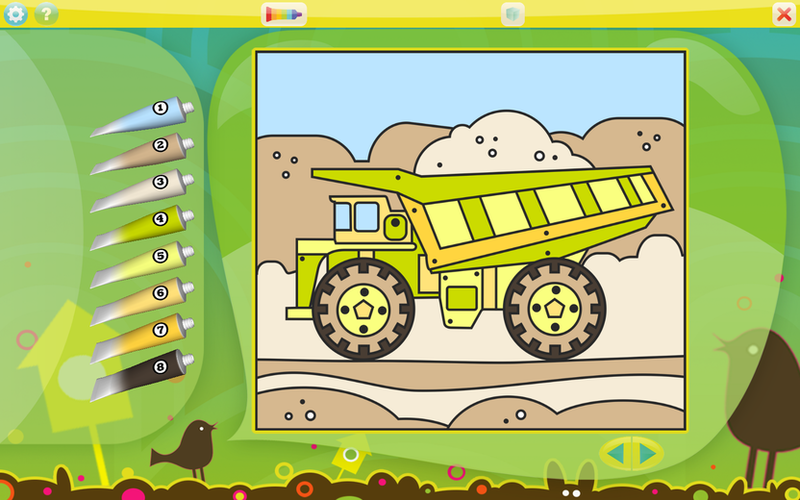 The little ones will easily learn and memorize numbers.